ALHAMBRA — The City of Alhambra announced that Gary Yamauchi, representative of the city’s Third District and owner/founder of Tri-Star Vending, has taken an oath of office as Alhambra’s new mayor for the third time. The city’s system of rotation enables each councilmember an opportunity to serve at least one nine-month period as both mayor and vice mayor during his or her tenure in office. 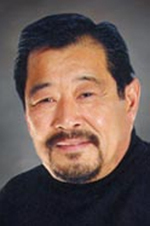 First elected to City Council in November 2004 and re-elected in 2008 and 2012, Yamauchi, previously vice mayor, succeeds First District Councilmember Stephen Sham, who returns to his regular position as councilmember per the official rotation of council seats. The ceremony took place at the Aug. 25 council meeting, and also saw Councilmember Luis Ayala of the Fifth District sworn in as vice mayor. Following the swearing-in, Yamauchi reflected on his reasons for pursuing public office, noting his strong desire to assist others. His long-time involvement in both civic and community organizations is well-documented with experience as vice president of the Alhambra Planning Commission and a member of the Alhambra HUD Commission, San Gabriel Valley Economic Development Council, and Advisory Board of the Local Law Enforcement Block Grant Committee. For his intensive community involvement, he was given the 2004 Past Presidents Award and selected as the Citizen of the Year by the Alhambra Chamber of Commerce. He has served as president of the Alhambra Chamber of Commerce, Alhambra Rotary Club, and West San Gabriel Valley YMCA, and vice president of the Los Angeles Music and Art School Board of Trustees. He has also served on the boards of the Alhambra Rotary Charities Foundation, Alhambra Hospital Citizens Advisory Council, East Los Angeles College Foundation, and the Go For Broke organization. In his private career, Yamauchi runs one of the largest independent vending services businesses in Southern California. Tri-Star Vending’s success led it to being named API Business of the Year of the 49th Assembly District by then-Assemblymember Dr. Judy Chu. Through his association with Father Gregory Boyle of Homeboy Industries, his company also won the distinction of Homeboy’s first-ever Employer of the Year award. Yamauchi is married to Linda Kobata Yamauchi and they have three children and three grandchildren. His personal interests are golf and watching all sporting events.